Can an activist investor put an account in review? Steve’s breakdown: The investor is Nelson Peltz and he’s pissed and we expect Gillette to be rethinking their marketing because of it. Read On. BOSTON, MA: Activist investor Nelson Peltz blames Procter & Gamble for allowing online shave club rivals to gobble up razor market share from its Gillette business. The billionaire investor, who launched a proxy fight Monday to get on the P&G board, told CNBC that former Gillette employees told him they wouldn’t have let online rivals Dollar Shave Club and Harry’s gain as much of a foothold as P&G did. “That’s what should have happened years ago. It didn’t happen. It didn’t happen because you replaced Gillette people with P&G people. Very different culture. Very different people,” Peltz said. P&G, which bought Gillette for $57 billion in 2005, replaced key managers shortly after the acquisition. While Gillette remains the top razor brand overall, it isn’t as dominate online, according to data from Slice Intelligence. 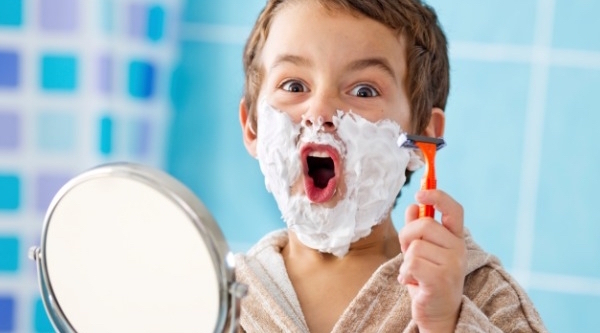 As of February, Dollar Shave Club, which Unilever bought for $1 billion last year, had grown to 47.3 percent of the online market, more than double Gillette’s 23.1 percent. Upscale Harry’s shaving club now has 12 percent of the online shaving market in the U.S., Slice Intelligence said. But Gillette is trying to play catch up, announcing in May an on-demand razor service where customers text to order. It originally launched its own online shaving club in June 2015. Peltz’s $12.7 billion hedge fund, Trian Partners, is seeking to elect Peltz to P&G’s board of directors, according to a regulatory filing released Monday. The company earlier rejected his request to be added to the board, the filing said. Procter & Gamble, whose share price was flat Monday following the filing, has a market value of $222.8 billion, according to FactSet. The stock has underperformed the market. Its shares are up 3.6 percent this year through Friday versus the S&P 500’s 9.9 percent rise.